Whether you need a creative venue for an ideation session, a focus group, or a team-building event, our suite has the capacity and flexibility to take your event to the next level. The main area is a bright, airy, and endlessly flexible space. Perfect for team meetings, living room-style focus groups, or simply hosting a relatively large number of people. Light-filled, yet private, the board room is a perfect place to build a plan to tackle the next big challenge, host consumers for a focus group session, or to toast your team's successes. Cosy and flexible, the back space is great for viewing a focus group in the board room or as a comfortable retreat for a more intimate meeting. It's fully equipped with a two-way mirror, dimmable lights, and a speaker system. Full of clean lines and all of the essentials, the kitchen is well-equipped to host large-scale consumer taste tests and to meet your catering needs. Capable of shifting from waiting room to working space in a heartbeat, the reception area is an open, cheerful and convenient access point to the rest of the space. 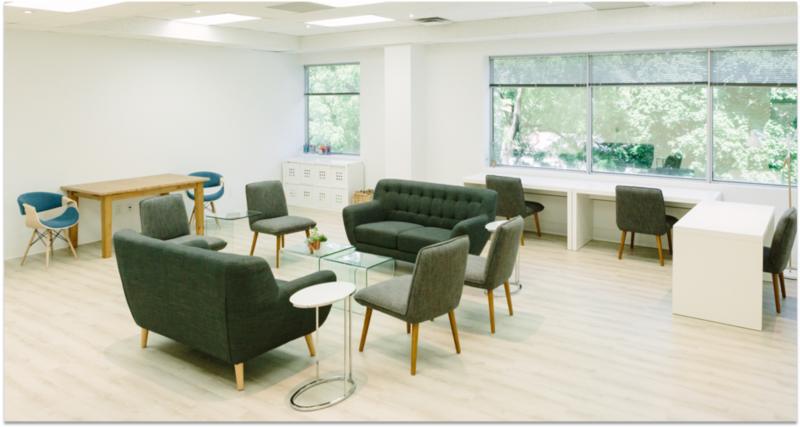 Our creative venue and focus group facility is located in the heart of midtown Toronto just east of Yonge Street and Eglinton Avenue (745 Mount Pleasant Road, Suite 303) with several nearby indoor/outdoor parking options and a breadth of restaurants for every taste and budget. We are a full-service facility and our team will cater to your every need, from printing and binding to catering and coffee runs. We look forward to hosting you soon!